We've got people being dumb, products being smart, headphones being expensive, and music being great. You know what to do. Another day, another video featuring people using racial slurs when they really shouldn't. The video was filmed backstage arthe 2017 Victoria’s Secret Fashion Show in Shanghai, and features a bunch of models rapping along to Cardi B's 'Bodak Yellow'. The context argument is often used in instances like this, but c'mon, there's no need for this. Jim Beam® have created the world's first smart decanter, and they called it... JIM. Featuring the voice of 7th Generation Master Distiller, Fred Noe, this product's USP is that it will pour you a shot on demand. Once the 3G capabilities run out (roughly after six months), JIM will convert back to a regular decanter. As far as "How do you do, fellow kids?" brand ideas go, we're ok with this. Learn more by heading here. 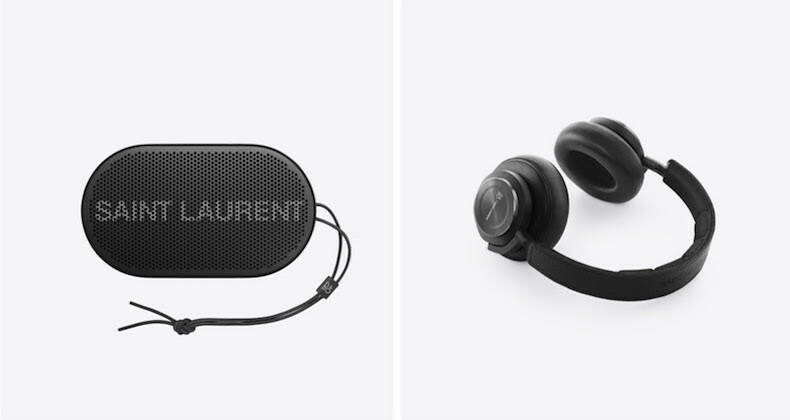 In celebration of Yves Saint Laurent’s current residency at Paris’ Collette department store (27th November - 20th December), the brand has teamed up with B&O Play to reimagine the BeoPlay A9, BeoPlay P2, and the BeoPlay H9. Essentially what we have here is a branding collaboration with a massive increase in price (the A9 usually costs £1500, but this model will set you back €2499), and while the rebrand does look cool, I'm not sure it's worth the price. Quick Thought: We love everything about this. Quick Thought: Mellowhype is the second-best Odd Future offshoot as far we're concerned. Nice to hear more from them. Quick Thought: This bangs and pulsates beautifully.